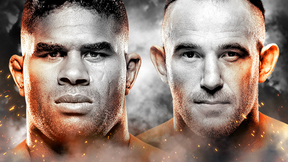 The giants of mixed martial arts invade Las Vegas for the last UFC show of 2011, and there will be plenty of thunder in the main event when former UFC heavyweight champion Brock Lesnar returns to welcome former Strikeforce heavyweight king Alistair Overeem to the Octagon. Literally one of the game’s biggest superstars, Lesnar has never backed down from a challenge, and his showdown with Overeem, a world-class striker with dynamite in his fists, proves it, making this the perfect way to end the year for fight fans. 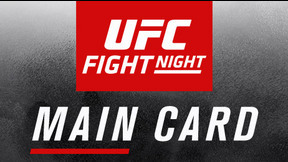 Plus, welterweight contenders Jon Fitch and Johny Hendricks meet up in a battle that has the potential to shake up the 170-pound weight class. Alistair Overeem vs. Brock Lesnar UFC 141 Fri, Dec 30, 2011 (21:37) Two heavyweight legends collided in the Octagon when former UFC Heavyweight Champion Brock Lesnar met former Strikeforce Champion Alistair Overeem for the first time. 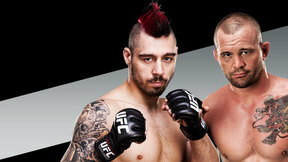 With over 500 pounds in the Octagon, there was bound to be a real power struggle. 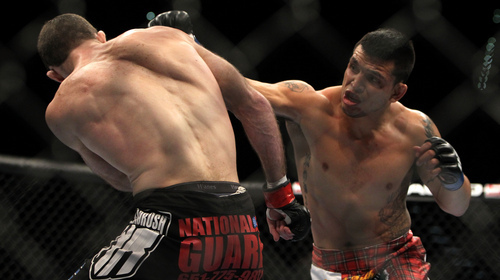 Nate Diaz vs. Donald Cerrone UFC 141 Fri, Dec 30, 2011 (30:49) One half of the menacing Diaz brothers, Nate Diaz had shown an amazing ground game with 10 of his 14 wins coming via submission. However, his opponent, Donald 'Cowboy' Cerrone, was streaking with six straight wins, and possessed a dangerous ground game as well. Johny Hendricks vs. Jon Fitch UFC 141 Fri, Dec 30, 2011 (30:58) When former NCAA standouts Jon Fitch and Johny Hendricks met, it was not just a battle between two of the division’s top wrestlers; it was an opportunity for Hendricks to join the elite level and for Fitch to keep his place in line for the welterweight crown. 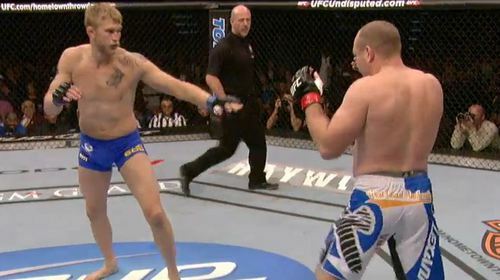 Alexander Gustafsson vs. Vladimir Matyushenko UFC 141 Fri, Dec 30, 2011 (11:37) Alex Gustaffson had been quietly moving up the ranks, and he wanted to continue his momentum by defeating Vladimir Matyushenko. Meanwhile, Matyushenko had gone from dominating his foes on the mat to knocking them out, and it was clean up time once again for "The Janitor." Jim Hettes vs. Nam Phan UFC 141 Fri, Dec 30, 2011 (25:19) Though he hasn’t shown off his Brazilian Jiu-Jitsu black belt in his entertaining standup battles, Nam Phan may want to dust off his grappling game against submission wizard Jimy Hettes, a purple belt in jiu-jitsu and a brown belt in judo. 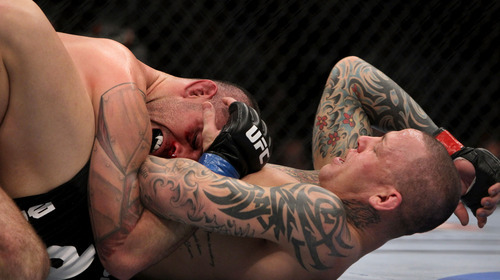 Ross Pearson vs. 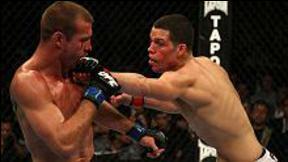 Junior Assuncao UFC 141 Fri, Dec 30, 2011 (25:50) Brazil’s Junior Assuncao knows what it takes to compete at the highest level of the sport, and this time it’s against TUF season nine winner Ross Pearson, who is making his featherweight debut. 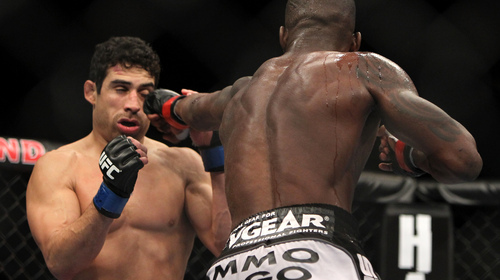 Anthony Njokuani vs. Danny Castillo UFC 141 Fri, Dec 30, 2011 (24:14) Punishing striker Anthony Njokuani can hurt you with any of his eight limbs. Next up for him is the always aggressive Danny Castillo, who has the perfect style to mesh with his fellow WEC alum. Jacob Volkmann vs Efrain Escudero UFC 141 Fri, Dec 30, 2011 (26:28) One of the sport’s top young prospects, TUF 8 winner Efrain Escudero is coming into the Octagon with a vengeance. Unimpressed by his foe’s credentials, Jacob Volkmann is a hard-nosed competitor who knows just what it takes to win in the UFC. 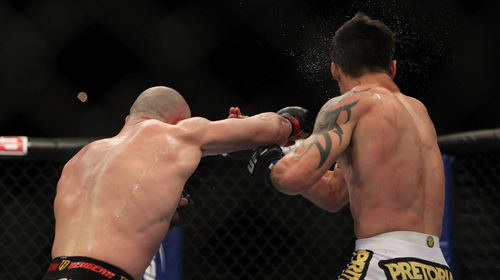 Manny Gamburyan vs. Diego Nunes UFC 141 Fri, Dec 30, 2011 (46:19) Take a sharp-shooting Brazilian known as “The Gun,” and a relentless aggressor nicknamed “The Anvil,” and the stage is set for some featherweight fireworks between Diego Nunes and TUF alum Manny Gamburyan.